Warm up the Winter by Volunteering! The holiday season offers a variety of ways for individuals and families to get involved in the community. 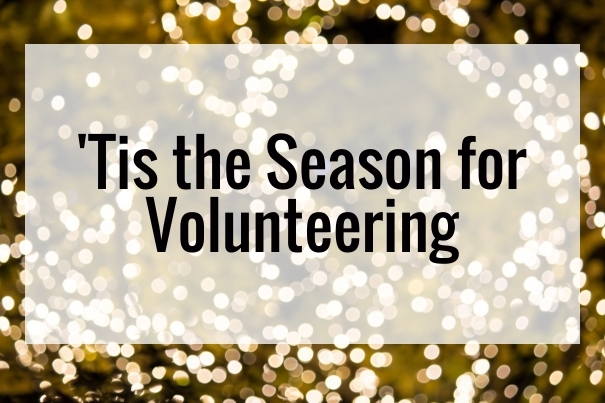 Find opportunities through the Volunteer Center and get out there to spread a little holiday cheer! The Marine Toys for Tots Foundation is dedicated to helping children in our local community during the holiday season who are less fortunate. The campaign relies solely on local volunteers in order to succeed. Volunteers greet people coming and going during the busy shopping season and raise funds for a good cause! One hour of bell ringing raises enough money to provide a family in need with two bags of groceries. Families can volunteer together and you don’t need to ask for money – the bells do!